Microsoft, Barnes and Noble Marriage – A New Digital Birth for Tablets & eReaders? There is no question that Amazon is the leader in the eBook industry, but recent news about Microsoft’s strategic move with a $300 million investment into the Nook, B&N’s eBook reader has created some interesting buzz. On the surface it seems as if B&N is to gain, but when you look closely you can see a lot of possible implications of the deal. Both the Mobile Marketer and Forbes discuss the new major move. In the Marketer, it sounds as though such a partnership is tenuous at best, with the thought that Microsoft just bought into yet another failing idea like the Zune or SPOT. Senior analyst of eMarketer, Paul Verna states that it helps to have the funding of a big company, but it doesn’t seem like the best move for Barnes and Noble. The folks over at Forbes have a different discussion going on. Contributing writer, David Coursey has the opinion that Amazon’s Kindle could “be very dead,” as a result of Microsoft’s new partnership. Why? Initially Amazon may have the upper hand for the next couple of years. But as Coursey points out, Microsoft is about to pour $300 million into the Nook’s design and marketing strategy over the next five years. Microsoft’s move could prove extremely beneficial in boosting their brand. Microsoft also owns Xbox which is another consumer electronics mainstay for gamers and the entertainment industry. Investing money in the Nook, which is already a well-known brand, allows them to take some of Amazon’s market share as well as gain a foothold into two markets: tablets and e-readers. Make Bing the Default Nook Search Engine: If Bing was the default search engine for the new Nook, and already is for other Microsoft products, it could provide Microsoft a better standing in household consumer usage. Extend Content to Windows 8 Platform: Microsoft could take Barnes & Noble content and distribute it and sell it across Windows 8 devices. Maybe Microsoft just bought access to a large content library. Engage the Student Market: Microsoft has the chance to delve into the world of student books and apps. While Amazon does boast of a pretty large network of users and readers in the eBook world, the new partnership has murmured thoughts on pushing the new Nook into the handle of college goers. Tight Xbox Integration: The Nook could be a gateway to the Xbox universe and vice versa. Microsoft Suite on Devices: If the Microsoft Office Suite comes to the Nook it could funnel in new customers into the Office product line. It could also allow students and Office workers to work on their Microsoft documents thereby making their Nook device their tablet of choice. It’s great to see more competition in the eBook space. Dominance by any single player tends to lead to stagnation. As with any new partnership, it remains to be seen what good Microsoft can do with the Nook. Microsoft stands to gain a good amount from this partnership: possible advertising in the Nook, a stronger platform, and increased market share for Bing. What does B&N gain? A large cash influx and some muscle to compete with Amazon. A post on Mobile Marketing Watch announced how big brands like Target are driving sales with an effective mobile retail strategy that incorporates coupons. In fact, using mobile coupons to drive traffic is an increasingly popular retail tactic. If your mobile design strategy allows for easy sharing and instant access to reviews, and if your mobile retail strategy offers reward points and other incentives, your mobile coupons will effectively drive retail traffic and increase your sales. Below are some mobile retail design strategies for boosting the power of your mobile coupons. 1. Let users subscribe to specific coupons: For example let them sign up for specific department coupons like home, bed & bath, kitchen & dining. Tailored incentives are much more effective. 2. Wishlist coupons: Offer users coupons for things they want or notify them when items they’ve wishlisted go on sale. You have warm leads here you can maximize for sales. 3. Take advantage of GeoFencing: If a user is within a certain radius of a retail location, give them an incentive to stop in and shop. 4. Allow users to share coupons: Ensure your mobile design effort makes it easy for them to post your offers on their social networks and expand your reach. 5. Follow-up: if a user redeems your coupon, have a mobile retail strategy in place for offering more coupons in the future or other brand building incentives. 6. Allow easy and instant access to reviews: Your mobile design strategy should let consumers check reviews for at least coupon items. Access to reviews speeds the buying decision process. 7. Offer extra discounts for check-ins: Allow users to ‘check in’ when they are in a store to get additional deals exclusive to in-store shoppers. 8. Promote in-store only coupons: Let users they can access extra coupons in-store only. Maybe have specific offers tied to each day of the week. For example, Saturday is extra home coupons day (a day when people are likely to make home purchases). Tuesday (the day when new movies get released) is movie coupons day, etc. Train people to come to the store and expect speficic offers tailored to their interests on specific days. 9. Allow users to combine coupons for additional savings: If they have a 10% off blouse coupon and a 10% of pants coupon, let them use both for 25% off the entire purchase. 10. Reward with future coupons: Tell them that if they spend a certain amount today, they can get a discount on a future purchase. 11. 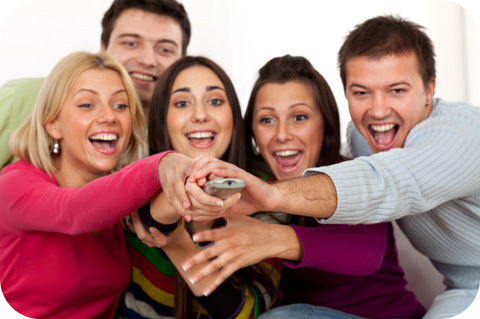 Share coupons social networks: Offer coupon incentives for spreading the word about your products. 12. Offer extra reward points: Tie your mobile coupons into your rewards program by attaching extra reward points to specific coupons. 13. The more you spend, the more you save: Boost sales by encouraging consumers to buy more for additional discounts. 14. Double or triple coupon days: To drive traffic on a specific day of the week, let users double or triple the value of their mobile coupons. 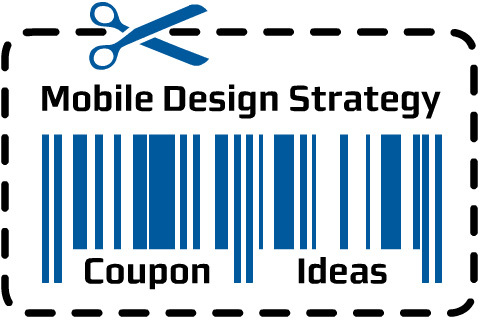 All of the above mobile design strategy ideas for retail coupons will work best if you have a solid mobile strategy in place and if that strategy is well executed. When those two elements come together, mobile coupons can be used to drive retail sales in a number of ways. A recent article on Mobile Commerce Daily took on the question of QR Tags and their future viability. The article argued that when QR tags and apps fail, the culprit is most often a lack of smart mobile strategy. I’ve found that QR tag success is determined by having a thoughtful mobile strategy and executing that mobile strategy with effective mobile design. When those elements are in place, QR codes can raise brand awareness and drive sales. We’ve had the opportunity to work with different mobile recognition companies from image recognition experts to barcode providers. Throughout these collaborations, I’ve heard some disturbing trends. For example, when using QR codes many companies ignore mobile strategy and simply have their QR tag lead to a non-mobile version of their site, often just the regular home page rather than even a specific landing page dedicated to the promotion. Consumers are not able to navigate those sites well because they aren’t optimized for viewing on mobile. Design plays a large role in QR code success. QR codes also get a bad wrap because they often lead to a broken link. In both these cases, and many others, companies are misusing mobile technology and not realizing the true potential of QR tags. Basically, they haven’t created an overall mobile strategy that uses good mobile design to incorporate QR tags into a larger mobile marketing campaign. Mobile is not a magic bullet. Like all other marketing campaigns, mobile design needs to be thought through. Mobile itself is not a strategy. Before thinking about QR codes or any mobile campaign, then, you need to develop some high-level business goals. Are you trying to build awareness? Are you trying to drive sales or capture names? Mobile is one channel for achieving these goals. (Print, direct mail, etc. are other channels.) QR codes are one component within your mobile strategy. They should be used in conjunction with a mobile designed website and other branding efforts. 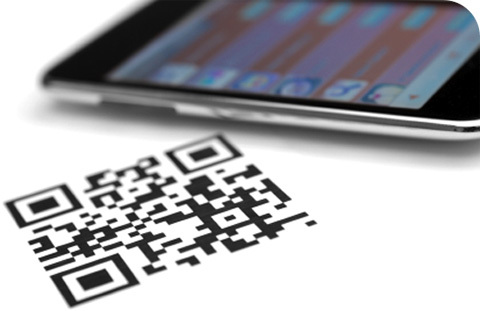 QR codes can be highly effective for building awareness, driving sales and capturing names. People often think of them as solely a means for encoding a url. However, if you work with a QR registry, you can implement intelligent QR codes that adapt to your needs by delivering content based on the user’s profile, location, date and a number of other factors. In sum, I think the real advantage of QR codes lies in the way they bridge the physical and the digital. They’re a great way to drive end users to take easy and immediate action. As QR codes evolve and marketers begin to implement them within a larger mobile strategy, they will provide solid results. But success will require that a strategy be put in place along with a solid call-to-action, an enticing offer and a well-designed mobile destination. A recent report by RSR Research showed 87% of retailers find mobile apps are valuable for driving traffic to their physical store. That’s up from 67% last year. Mobile sites can enhance the in-store shopping experience by offering consumers a number of incentives for interacting with a product and making a purchase decision. Getting value from your store’s mobile marketing site or app requires smart mobile design and strategy that fulfills consumer’s needs while shopping. Here are some ways to maximize your mobile site or app design so that it results in greater retail sales. Create easy access to reviews. Customers want to know how others liked or disliked a product. Posting reviews on your mobile site or appis one of the top things you can do to expedite consumer decision-making. 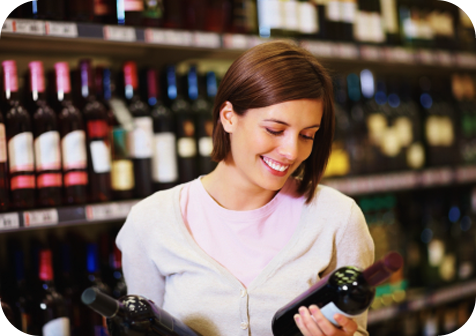 Allow consumers to lookup product availability and shelf location. Consumers don’t like wasting time searching your store for a particular item. If your mobile design incorporates features that enable them to look up if your store carries a product and where it’s located, you’ll be more likely to make that sale. For example, I was in Target looking to buy a toy. The clerk didn’t know if the store carried the particular toy I was looking for. I checked the mobile site and verified that the toy was in stock. The site even showed me what aisle to find the toy—highly convenient. 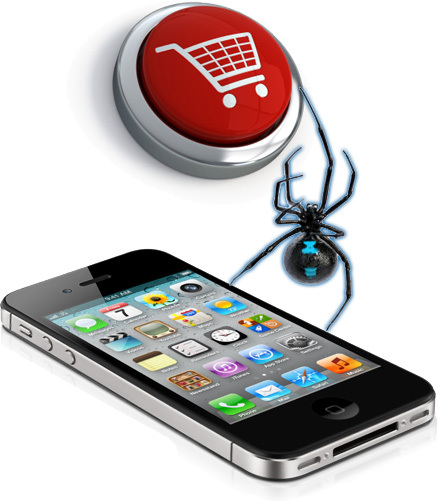 Essentially, you want to think of your mobile site or app as a virtual retail assistant with all the answers. Allow login and interaction with digital accounts. When consumers login to your mobile site or mobile while at your physical retail locations, you can suggest additional items based on what they are purchasing as well as their user profile. Think batteries and accessories. 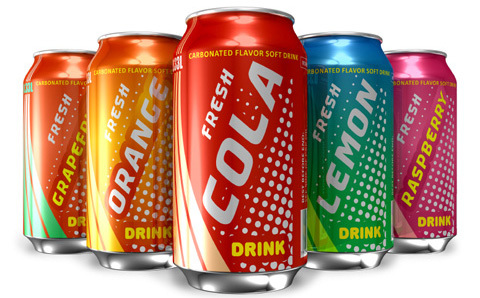 You can also give these consumers specific incentives to drive other purchases. Mobile sites and apps designed for an integrated retail experience help you increase the size of your baskets. Sometimes consumers want to save product information so they can purchase that product later. 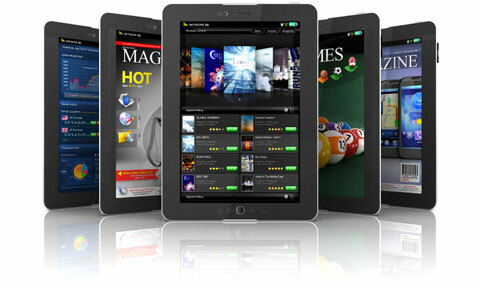 Design your mobile site or app so that it allows them to sign up for research later or create a wishlist. Your mobile retail website should make it easy for consumers to forward product information to a friend and request an opinion. The simpler this process is, the more likely you are to make a sale. 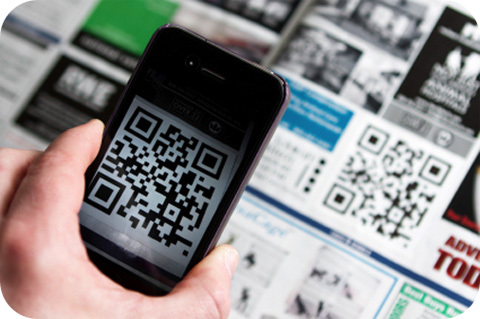 QR codes bridge the physical good at the retail point-of-purchase to the digital. I scanned a plant’s QR code while in Home Depot. I was taken to a mobile web page with supplemental information that couldn’t have been shown on the plant. The site provided the info I needed to make a purchase—which I did. QR codes simplify the ability to get information about a product instantly. Essentially, a good mobile site or app supplements the in-store shopping experience in ways that drive more sales. Instead of digital store versus physical store, you get a blending of the two for the ultimate retail experience. A recent Mobile Marketer article about MGM Resorts describes how using a well-designed mobile marketing app immediately when launching customer loyalty programs boosts overall results. The app contains a daily sweepstakes, loyalty, concierge directory, games, maps, and even virtual tours. The first thing I like about the program is how the mobile marketing app was launched in conjunction with the loyalty program. Many marketers, advertisers and brands, when launching a new customer loyalty program, stick to the tried-and-true, leaving a mobile app marketing strategy until later. Companies mail plastic cards and lavish four-color brochures, send emails and launch new web pages describing program benefits. By providing a branded app along with the launch of a loyalty program, you give interested people an immediate way to take action and get excited. Mobile branded apps, in fact, are one of the most effective ways to stay in touch with customers and encourage interaction with your brand on a regular basis. As MGM discovered, smart phone owners engaged in the MGM brand on a daily basis are drawn to the app through interactive sweepstakes and contests. Apps entice users to seek more information and become familiar with your company. This immediate familiarity makes people feel more comfortable with a brand, and also trains them on how to use the app. 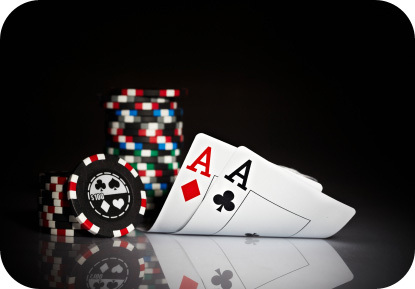 It’s also a great fit with the gaming aspect of MGM’s business. MGM management observed, as smartphones apps have grown, that combining an iPhone and Android app for marketing, coordinated with promotions (sweepstakes, dining, entertainment and events) improves campaign results. That boosted customer loyalty as users segmented themselves by revealing desired services when using the app. Hospitality, entertainment and other verticals aren’t unique. When mobile marketing app consumers engage on a regular basis with your mobile-branded app, your products, services and image become imprinted in consumers’ minds. This is critical as brands compete for mind share in mobile space. It’s interesting to think how mobile users segment themselves as they use mobile apps daily. By choosing specific offers—gaming, lodging, shows or entertainment–mobile app users disclose their interests when interacting with the brand, improving target marketing. This also offers a competitive advantage to any brand or marketer to “tweak” the app for maximum ROI by engaging audiences in innovative ways. In a previous article about MGM and mobile marketing apps, I discussed how brands can use mobile apps to draw people to their resort destinations. It’s good to see brands like MGM continue innovating across the mobile channel. Customers appreciate the additional content and engagement shown by brands using multi-channel approaches. Building customer loyalty, retention and company branding is challenging. As more brands and advertisers, like MGM Resorts, leverage the marketing power of mobile apps, consistent messaging in the marketing mix improves campaign results.